NTSE Uttar Pradesh Answer Key 2018 – Get here NTSE Answer Key 2018-2019 Uttar Pradesh of exam held for class 10th. 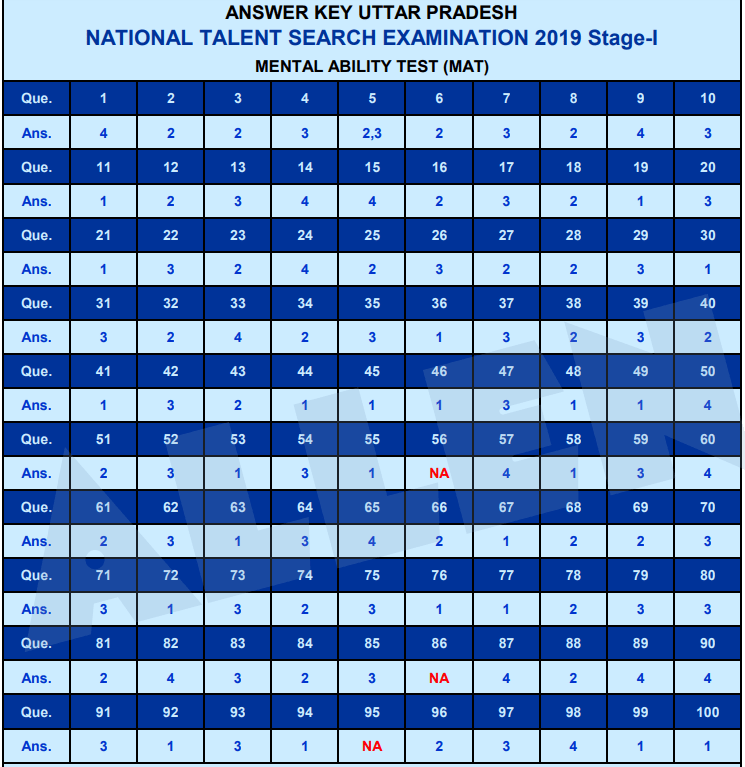 Answer key of National Talent Search Examination (NTSE) held in Uttar Pradesh contains correct answers of 100 questions each asked in Mental Ability Test, Scholastic Aptitude Test. Students from Uttar Pradesh can check NTSE Answer Key 2018 stage 1 exam to know correct answers and calculate expected marks. Knowing marks, one can predict chances of qualifying NTSE 2018-2019 stage 1 exam from Uttar Pradesh. Those who obtain cut off marks will be declared as qualified for stage 2 as per result of NTSE 2018-2019 Uttar Pradesh. NTSE Uttar Pradesh Answer Key 2018 is published after exam. 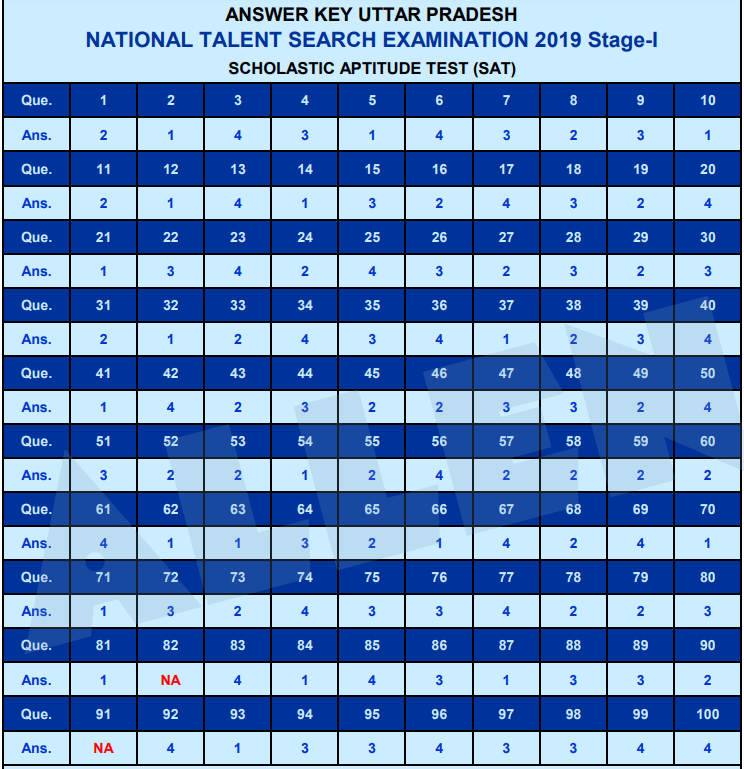 Students who have appeared in NTSE 2018-2019 stage 1 exam in Uttar Pradesh can check answer key to predict chances of qualifying. Also, students who are preparing for future NTSE exams can use question paper and answer key given on this page to prepare. First, here is a brief overview. NTSE Answer Key 2018-2019 Uttar Pradesh is given below. 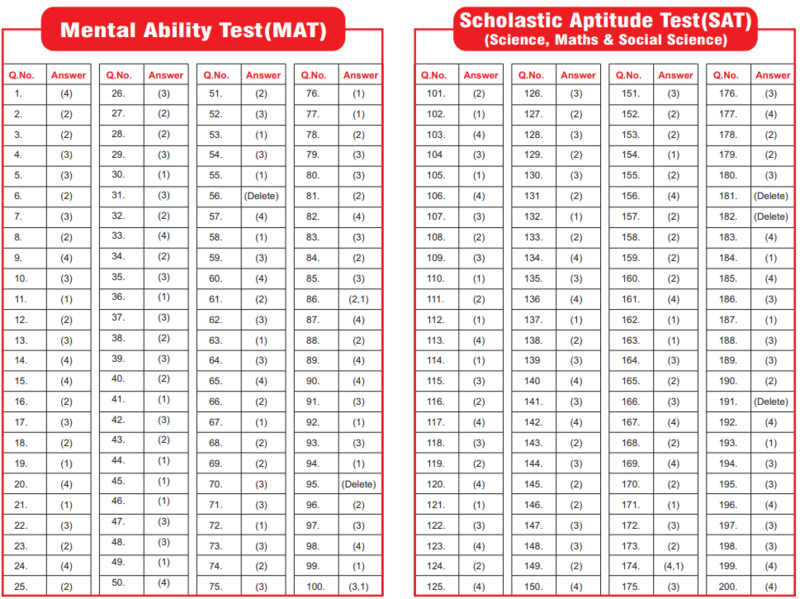 They are available for both MAT and SAT papers. NTSE Question Paper 2018-2019 Uttar Pradesh is given below. Click here to download or view NTSE Question Paper 2018-2019 Uttar Pradesh in a separate window. 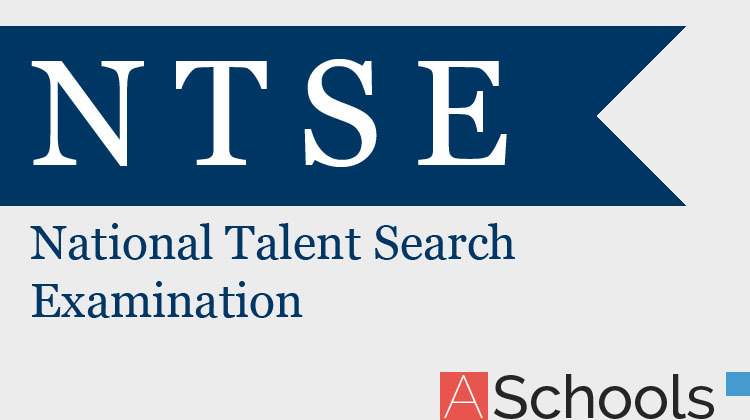 Students are requested to note that the first stage NTSE exam is held at state level, and is known as state level talent search examination (SLTSE). Hence the question paper and answer key of NTSE stage 1 is different for each state. Therefore, if you are not from Uttar Pradesh, but some other state, then please check respective state’s NTSE Answer Key 2018-2019 for more information. Best of luck for your result! 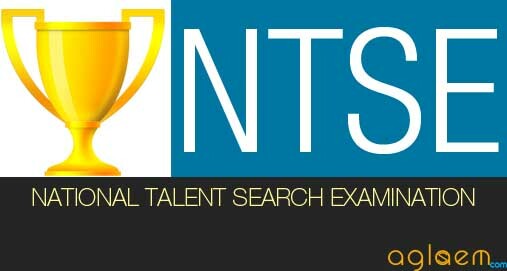 National Council of Educational Research and Training (NCERT) is responsible for National Talent Search Examination (NTSE). Nevertheless, stage 1 exam held at state level – its conduct and declaration of result – is responsibility of state. Therefore Stage I NTSE Result 2019 of Uttar Pradesh will be announced by exam conducting body in Uttar Pradesh only at its official website.